Discussion in 'Scottish Football' started by Andy-gers1, Aug 17, 2018. A guide to Doggerland? - Holy **** this is horny sign me up!! 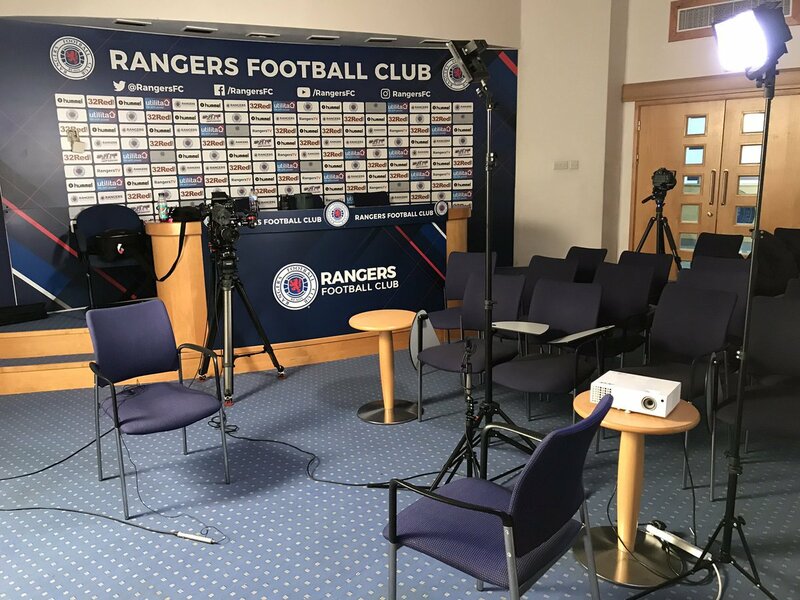 I really don’t see what the big issue is..
Andy the issue is quite clear and that is the underlying reasons Rangers pulled an interview that had been arranged for weeks with a national broadcaster as soon as they found out there would be a question about sectarianism in football. If Gerrard was at any other club in Britain he'd have done that interview. The interview was to do with Gerrard’s life, nothing to do with Sectarianism in football. Andy go onto the Channel Four journalists Twitter page, you'll find it all there. I genuinely have no interest in regard to it. Neither does Tommy but both commented on it. The episode also highlights yet again the constant lies that come out that club. Wonder why Gerrard didn't want to talk about sectarianism? If he was at any other club in the UK he would have given his opinion on recent events. Best not to upset the natives though and call it out.. . .pathetic. Steven Gerrard just pulled out of #C4News interview. Told by personal staffer- not Rangers- we couldn’t ask certain questions including about Neil Lennon and sectarianism. Then she disappeared. Been waiting for him here for hours. Nobody even told us in person it was off. Interview was arranged through maker of new film about Steven Gerrard’s life. Minutes before he was supposed to arrive I was told by Gerrard’s representative what he would and would not talk about. We had an amicable chat. She went off. Not seen her since. Steven Gerrard’s representative told me in no uncertain terms he would not talk about the attacks on Neil Lennon or the current discussion around sectarianism in Scottish football. It was suggested I ask him in general terms what it’s like to be manager of Rangers. There’s a section in the Steven Gerrard film in which some Liverpool fans call him judas and traitor over a proposed move to Chelsea. It’s one of the clips the makers sent us in advance. So assume he would have been anticipating questions about vitriol in football. We agreed interview would mostly be about issues featured in the film. I said I’d like to explore what Steven Gerrard’s wife says about him being an emotional person. I think Gerrard has your lot worried to be honest. Trust me, he doesn't, not even close. Anyone who has seen enough of both teams would laugh of any suggestion of Gerrard's Rangers toppling Celtic anytime soon. I'll take the league mate any day of the week. Lisbon, that is also the tone from other Hoops supporters on this Forum. No disrespect but that attitude of apathy is whats wrong with Scottish football, content with status quo. Celtic is so successful locally due to its buying power dwarfing SPL rivals in acquiring talent, a big fish in a small pond. BR is more ambitious than just the local league, he sees Celtic returning to making an impact on the European & world stage, back to having more supporters again. It is not beyond Celtic, esp. with BR in charge, but for how long will he be there at Celtic? I grew up watching the old Rangers winning nine in a row, all be it we know they were cheating now. My priority is (and always will be) dominating Scotland. My friend, theres nothing wrong with winning & beating the best in Europe. Liverpool FC came close last season- thats the passion thats driving Rodgers. The closest Steven Gerrard got to the title in England.